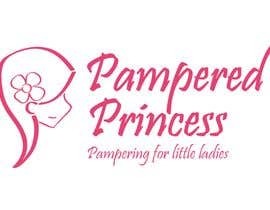 Design a logo for Pampered Princess a fun and exciting store expected to be opening in Sydney in the upcoming months. There is nothing else like it in the Sydney area so let your creative juices flow and run wild. who is the winner? when will you declare the winner? 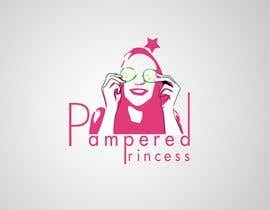 @freeyousri #84 HAVE YOU REALIZED THAT YOU CAN GET SUED FOR USING THAT STOCK IMAGE PICTURE OF CINDRELLA WHICH IS A PROPERTY OF DISNEY AND ALSO IF THE COMPANY HOSTING CHOOSES YOUR LOGO THEN THE COMPANY GET ALSO GET SUED VERY BADLY FOR LIKE AT LEAST 20 000 US DOLLAR. IN SHORT HAVE YOU REALISED THAT YOU HAVE JUST BROKE A DESIGNER'S CODE. i cannot find the submit option....plz help!!!! there are "report design" buttons in all designs. mouse over and the design number changes to "Report design"
ATTN freelancer admin, the upload button isn't working and I have designs to upload....and RE: comments, I totally agree, disney has very strict copyright legals, besides how can one be called a "designer" if they incorporate copyrighted images and use stock vectors with customising? i think there should be a way by which the designers sending stock images can be reported and eliminated and even better banned from here. Not to mention all the Disney copyright infringement! That's a SURE way to be sued. most people here are using stock images ...designers here have very low ethics here. Thank you rgzaher! Apparently I hadn't ticked the right boxes to be able to enter! I have now! I have designed a logo for this contest but can't find out how to upload it. Can anyone help me? First time user! Thanks! how do i upload entry?